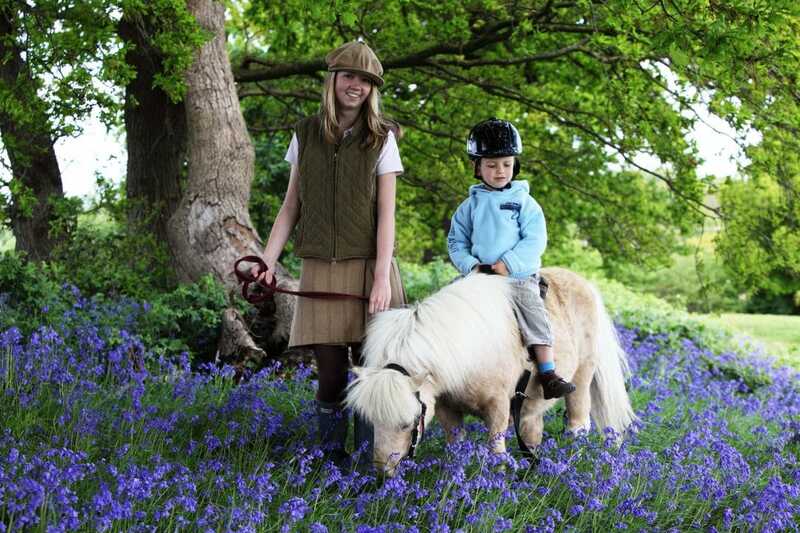 Starter rides are delightful pony riding experiences for children from age 2 ½ to around 10 years old. Starter Rides are 45 minutes long and specially designed first riding experiences for children from age 2½ years old. They cost £40 per child. They are available from March – November by appointment only. Please note your child MUST be 2 and a half years old at the time of the ride. We cannot take children under two years six months age. Or give us a call on 07734 950 309. Children get to meet and greet the ponies, brush them, help to tack them up with a one to one helper and lead them. When they are really comfortable with the pony we sit them on and they have a 20 minute lead rein ride around our meadows. When they return they help to put the pony away and look after him. Starter rides are a really special and children are given a pony certificate to remember their morning by. When are Starter Rides held? School Holiday weekdays 10am (excluding Fridays – pony rest day) March – November. Parents must stay with the children. Children MUST be two and a half years old. No exceptions! We provide the latest specification of riding hats. Special riding clothes are not needed. Don’t miss out on the perfect way to start with ponies. You can also look on our Frequently Asked Questions page for more information.